Often, people believe law enforcement or state officials clean up after a homicide. This is not the case. It is not that law enforcement does not want to help — they devote their lives to serving our communities. It’s that preventing the spread of potential bloodborne pathogens requires trained professionals who understand how to remove and dispose of biological waste safely. Aftermath employs a team of compassionate, trained biohazard professionals. Our 28-point checklist sets the industry standard and includes provisions to make sure all potentially dangerous and infectious materials are removed from the scene. This includes testing for the presence of biological material after all physical evidence is removed. We want to be absolutely sure an affected area is safe when the wellbeing of a family is at stake. Our technicians are trained to remove all traces of a traumatic event so families can focus on healing. When our team arrives on site, the first thing we do is perform a site assessment and explain, in detail, our processes and procedures. Our goal is to educate the family so that they can make a well-informed decision. According to data released in 2013, states with the highest homicide rates were Louisiana, Alabama, Mississippi, Maryland, Michigan, South Carolina, Missouri and New Mexico. 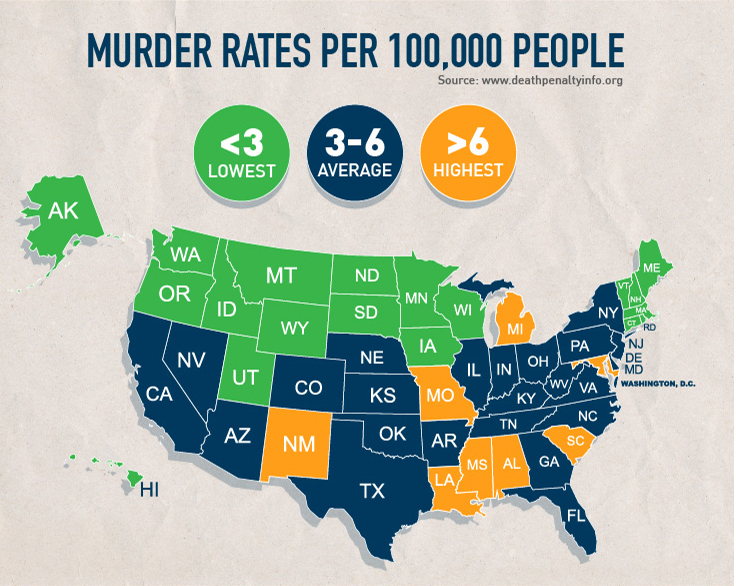 Each of these states had a homicide rate over 6 per 100,000 people, with Louisiana near 11. The national average is 4.9 nationwide. Aftermath operates in each of these states and can respond to homicides near most metro areas within a few hours. This quick response time allows us to assess and begin the remediation process quickly, limiting the number of people who come in contact with an affected area and possibly potential contaminants. While violent crime rates are decreasing, our services are still needed — and we’re proud to help when we can. Cleaning up a homicide can be difficult and potentially dangerous. Police and Law Enforcement, protect yourself and others from the dangers of biological material by wearing PPE when working in a crime scene. You can enter Aftermath’s Annual PPE GIveaway for the chance to win a set for yourself, or one for each member of your department. And also remember: the next time tragedy strikes and the question is “What do we do now?” — the answer is Aftermath.